Upper East Side, NY (October 6, 2018) – Friday afternoon, October 5, the 84-year-old mother of a Chelsea art gallerist was killed in a fatal pedestrian accident. She has since been identified by police. The accident took place on Upper East Side when an SUV driver suddenly jumped the sidewalk and ran into her. The individual apparently got out of the vehicle and fretted about the damage to her new car. The driver was a New Jersey resident and had been heading north on Madison Avenue, attempting to turn onto East 79th Street around 2:30 p.m. when the accident took place. Police have identified the pedestrian as Nahid Taghinia-Milani. Taghinia-Milani’s daughter, Leila Heller, runs the art galleries in Chelsea. A doorman at the scene said that he asked the driver what she did and she responded that her new car was damaged. Taghinia-Milani was killed instantly and police pronounced her dead as soon as they arrived. The sidewalks had been crowded with pedestrians at the time. Many people said that Taghinia-Milani was the sweetest person and are saddened to hear of this accident. At this time, we would like to offer our sincerest condolences to the family of Nahid Taghinia-Milani and hope that they are able to find peace following this accident. 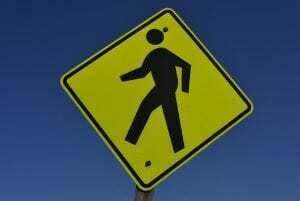 Many pedestrian accidents happen every year in New York, especially in the cities where the streets are clogged with vehicles and pedestrians are walking from place to place. Many accidents involving pedestrians take place due to the negligence of others from speeding, drunk driving, drowsy driving, and more. If you believe that somebody has acted negligently and it led to the death of a loved one, you have many rights as a family member to bring a wrongful death claim on their behalf. We understand the severity of these accidents and want to offer you our helping hand at Hach & Rose, where your case matters. We wish to present to you experienced New York accident attorneys who can help when a pedestrian has been killed in a serious accident. We will go above and beyond to help you gain the results you deserve. Call us for more information today at 212-779-0057 to find out what we can do for you.